DAVID LE/Staff photo. 2/17/15. 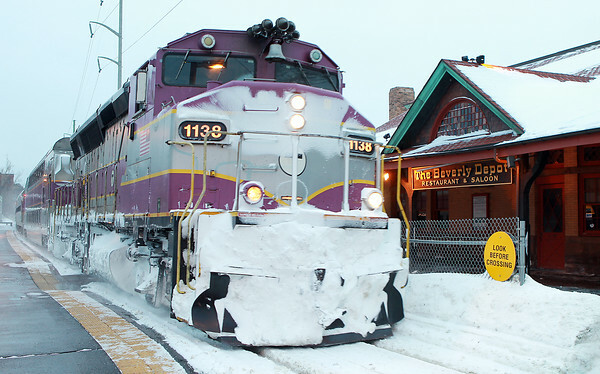 The Newburyport/Rockport Commuter Rail line pulls into Beverly Depot on Tuesday evening as MBTA service slowly started up again after the heavy snowfall.